Hyundai Motors India Limited (HMIL) has launched the most appropriate vehicle in its line up and that’s the new Hyundai i10 Blue Drive LPG variant. The second largest passenger car maker has come up with this version of its bestselling small car, in the times when the consumer is getting stressed with rising petrol prices. With an intention to make this eco-friendly LPG variant more efficient, the small car is powered by a lighter 1.1L IRDE2 power-train and not the 1.2 L Kappa VTVT engine, that is more powerful and may end up in providing low mileage. HMIL Managing Director and Chief Executive Officer, Mr. HW Park said that the LPG variant is rolled out keeping in mind the car buyers, those in search of low running costs of vehicles. 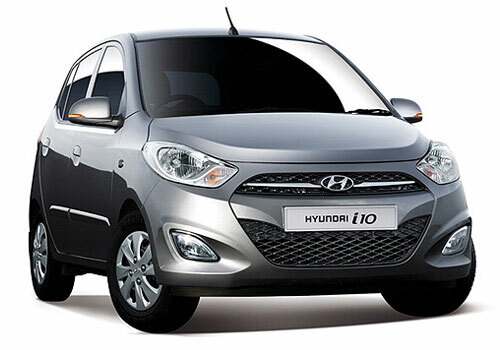 The company is enhancing its sphere of environmental friendly program with the launch of i10 Blue Drive, he added. Hyundai i10 LPG is offered in two variants 1.1L Magna and 1.1L Era with a capacity of 34 litres, the 1.1L Magna LPG carries a price tag of INR 4, 30,659 (Ex Showroom Delhi) whereas the 1.1L Era LPG comes at a price of INR 4,16, 144 (Ex Showroom Delhi). If the prices of these LPG variants are compared to the existing petrol versions, one needs to pay mere INR 27,000 more for the eco-friendly small car. The new Hyundai i10 Blue Drive LPG variant is sure to catch the eyes of the car buyers, also with this alternate fuel launch the company can place a healthy option in front of the consumers looking for small car with diesel engine. Hyundai lacks the option of diesel power-train in the i10’s lineup. The LPG powered variant upholds the petrol option with a 35 litre tank as regular, the exceptional part in regards to switch between the two fuels is very simple with a dashboard mounted knob that ensures easy swap among the petrol and LPG fuel modes. What Mileage Hyundai i10 LPG variant delivers..? 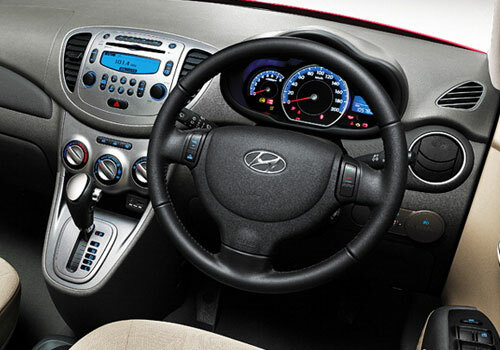 You can easily get around 14 km/kg mileage with i10 in LPG mode.